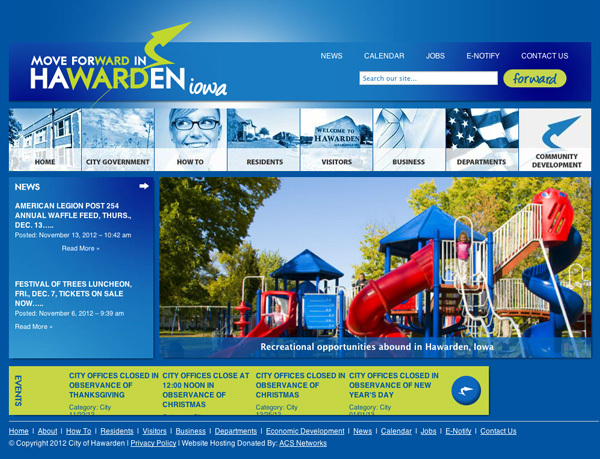 The City of Hawarden, Iowa and Bass Advertising have built a new brand that takes huge strides in marketing this thriving northwest Iowa city. Hawarden’s leaders want businesses and area residents to know that if they are ready to “move forward”, Hawarden is ready to help them do it! Check out their website at cityofhawarden.com.